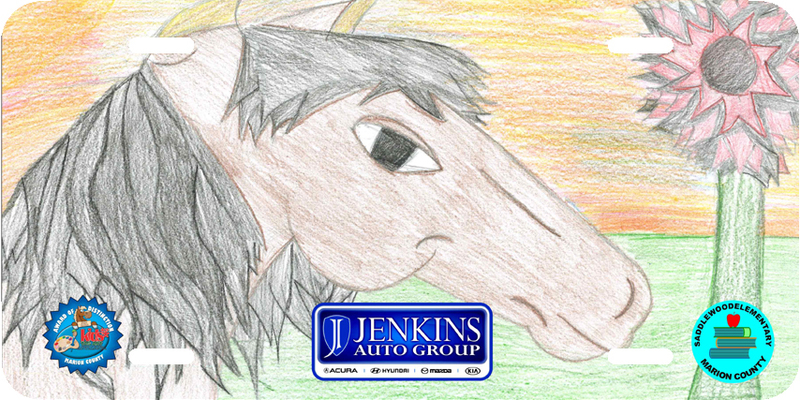 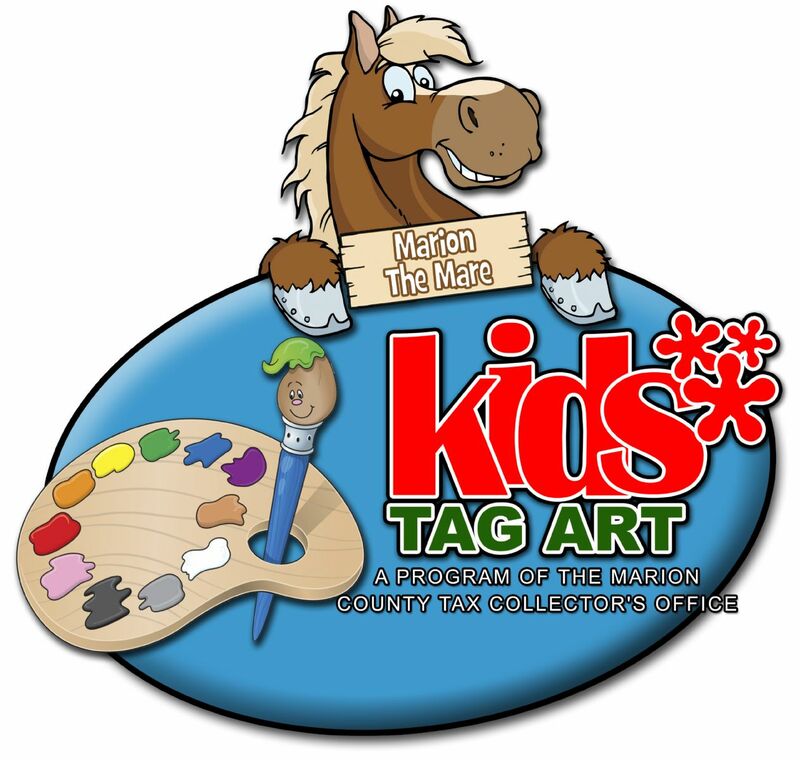 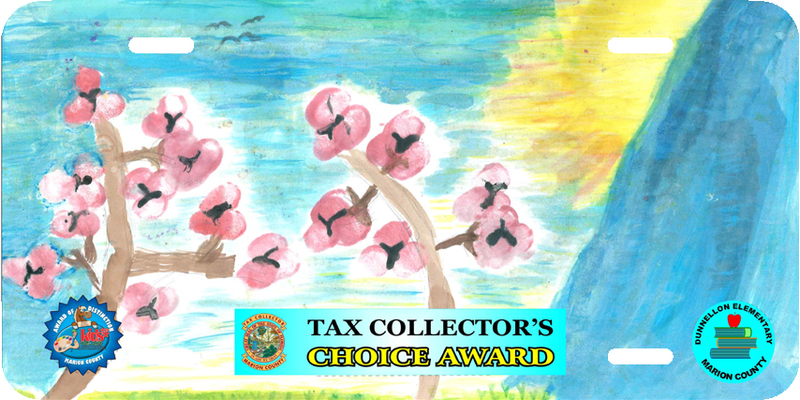 Meet "Marion the Mare", our official mascot for the Marion County Tax Collector Kids Tag Art program. 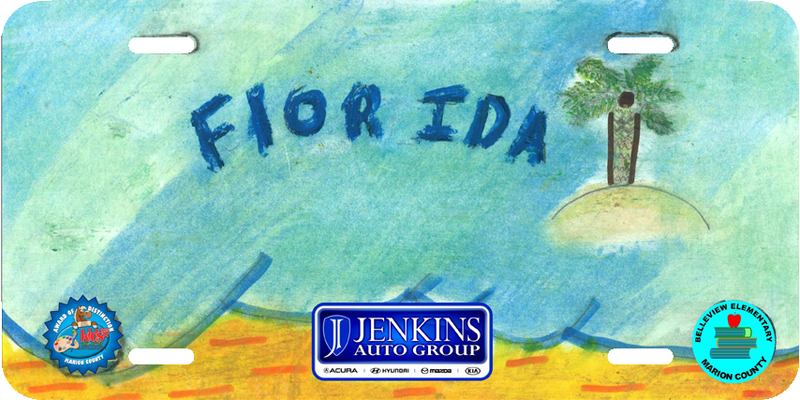 This program inspires fifth grade art students to design their own specialty plate while at the same time learning about the practical application of license plate art and how Florida's 100+ specialty license plates support worthy causes. 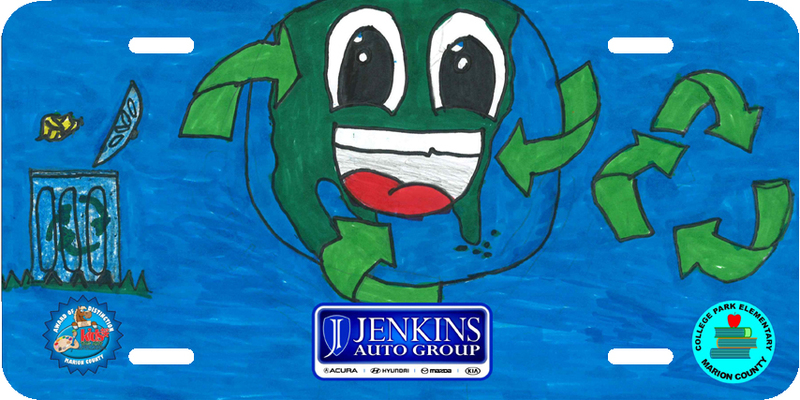 Each participating school earns 100% of the proceeds and a share of over $14,314 of sponsorship money. 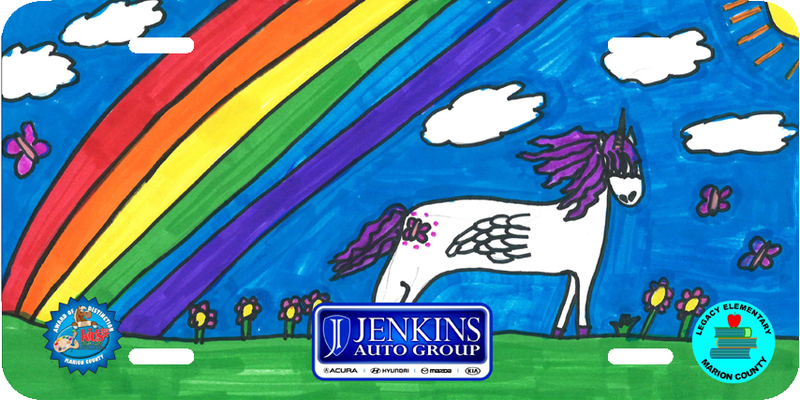 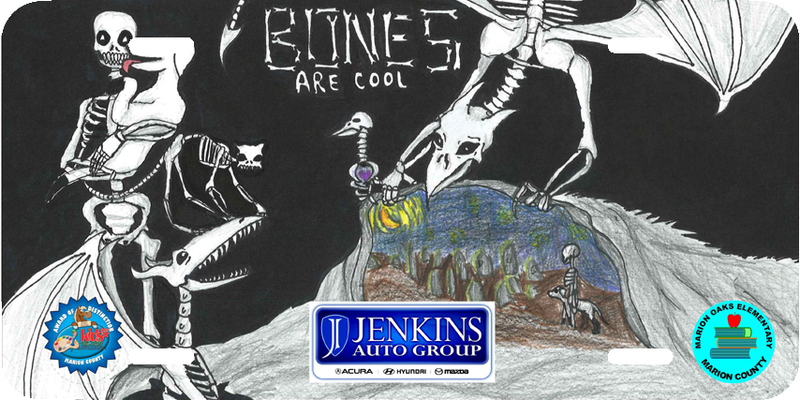 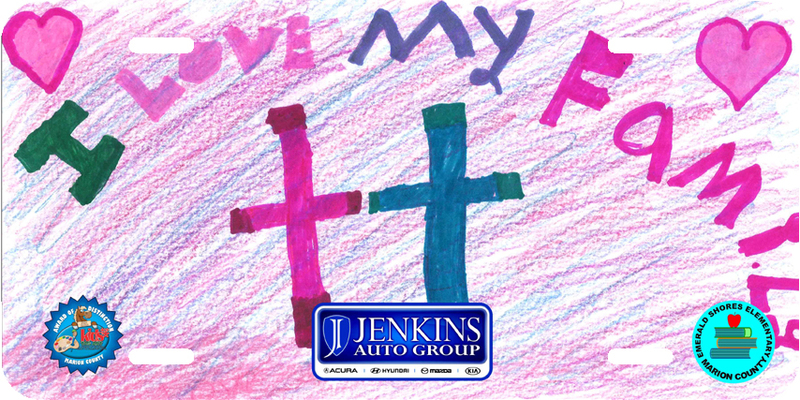 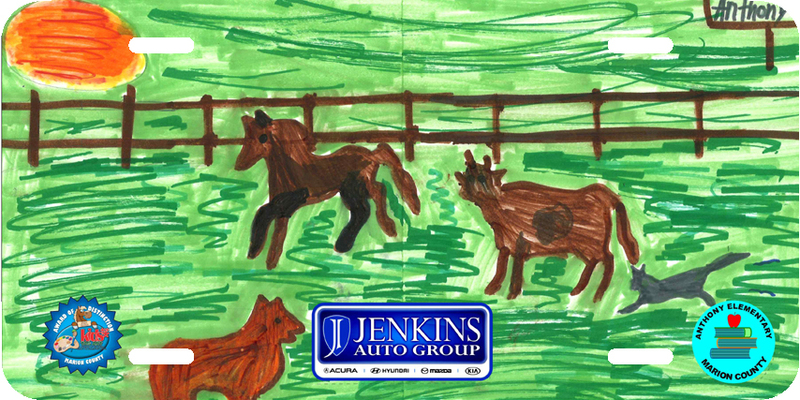 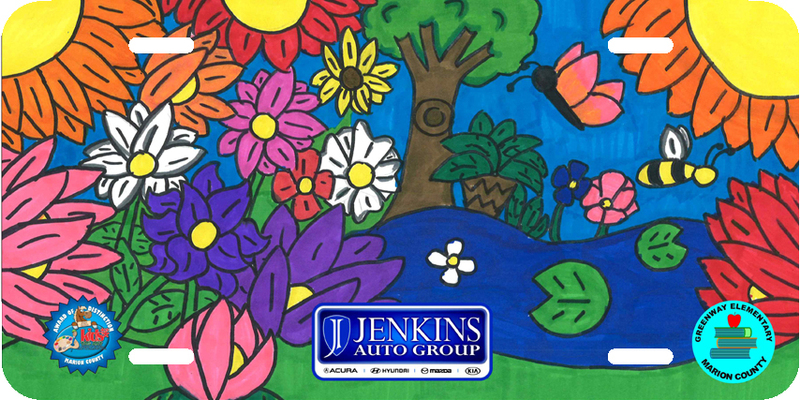 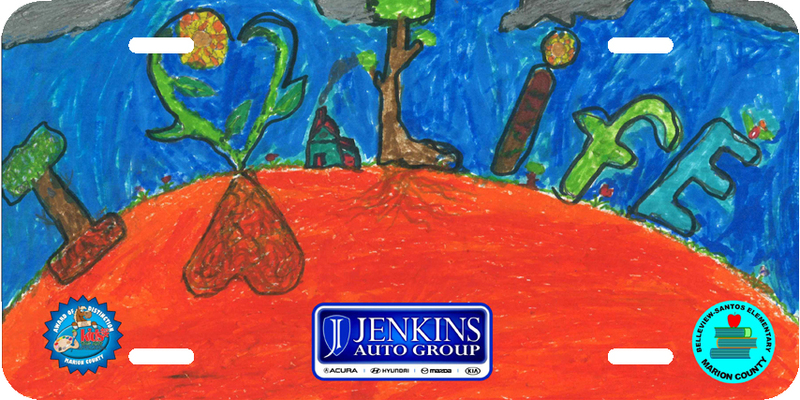 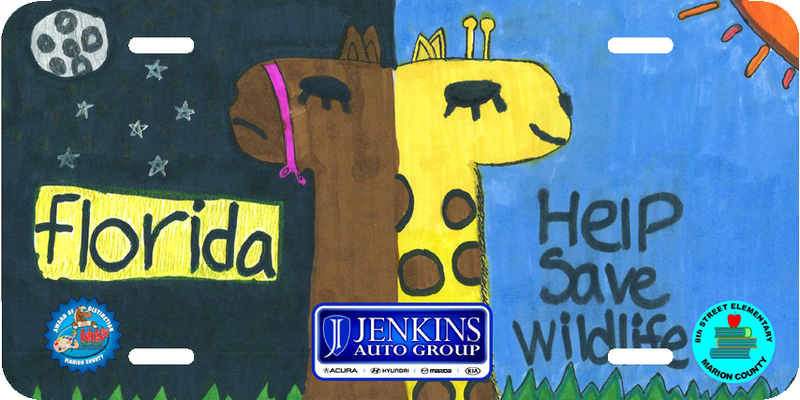 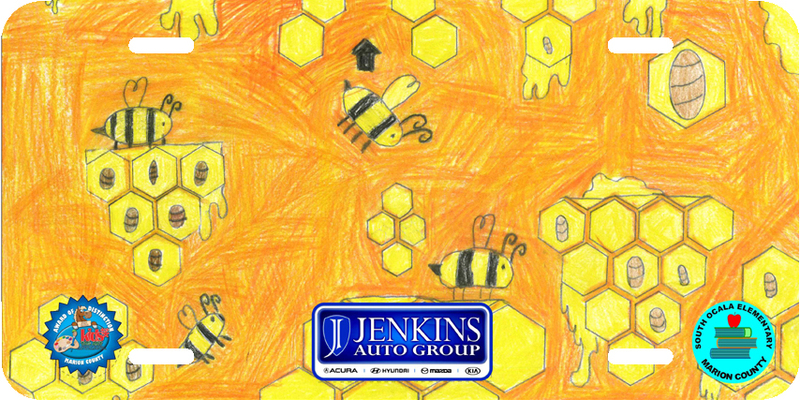 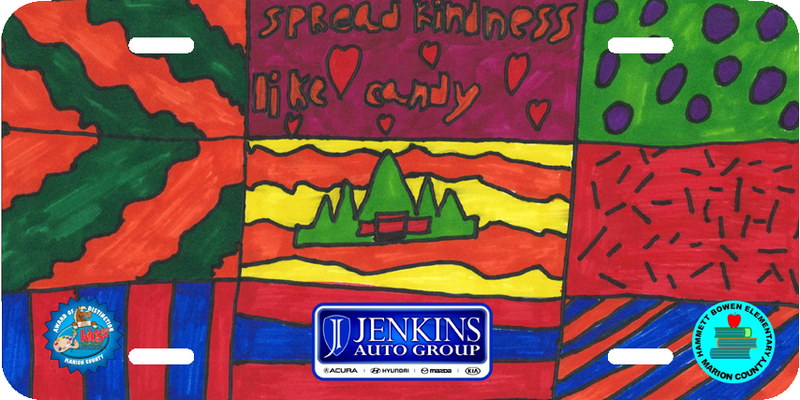 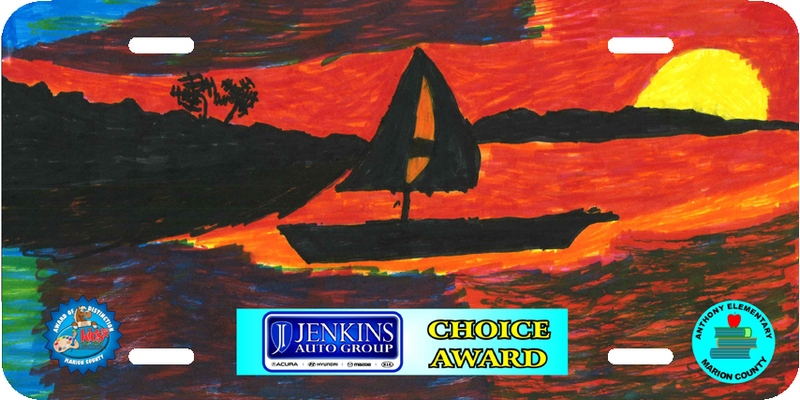 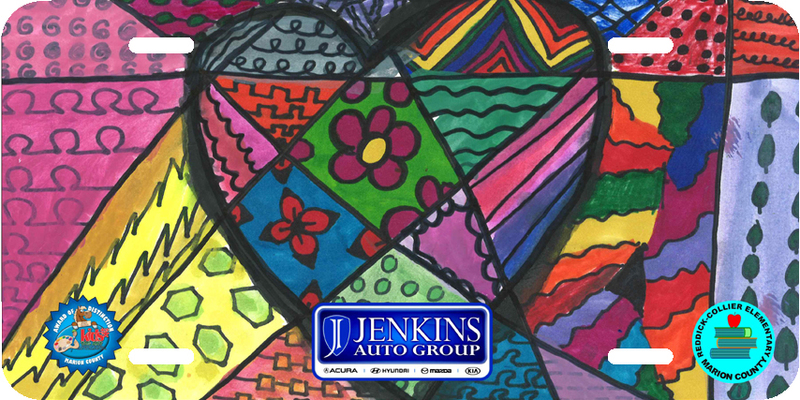 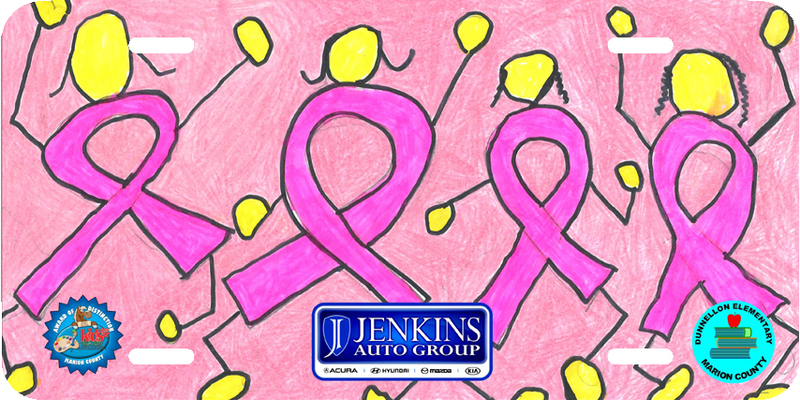 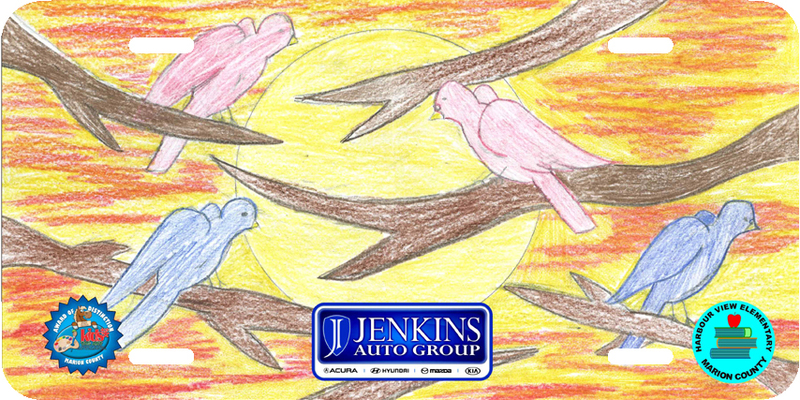 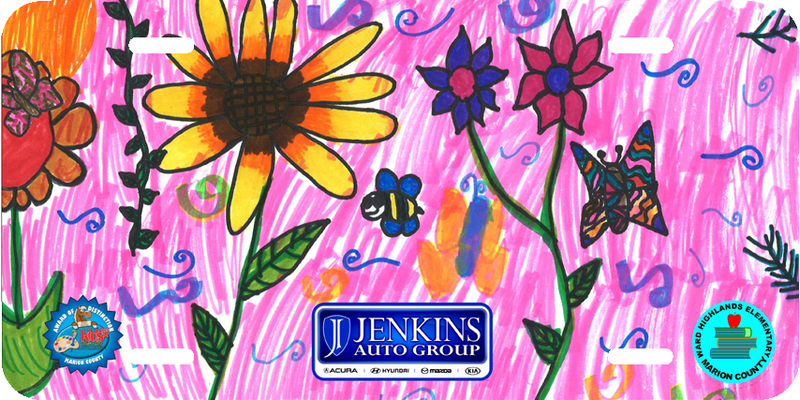 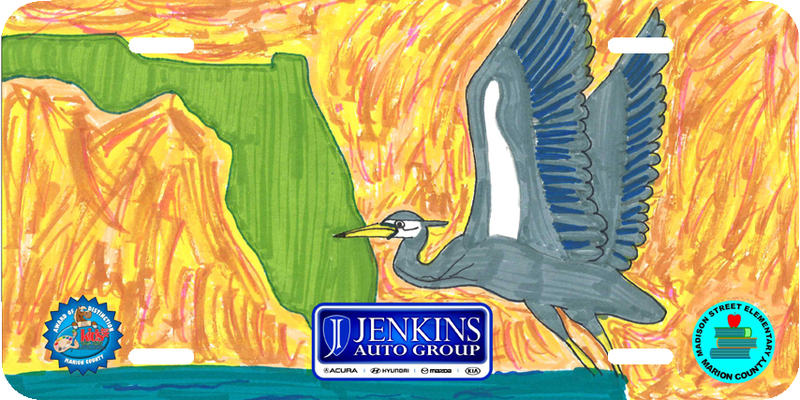 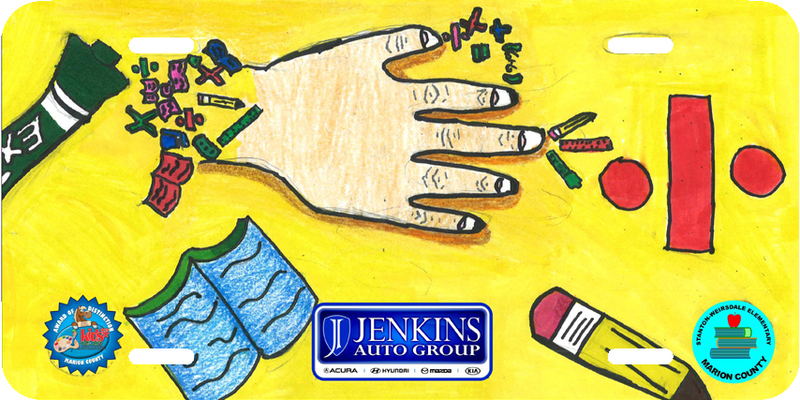 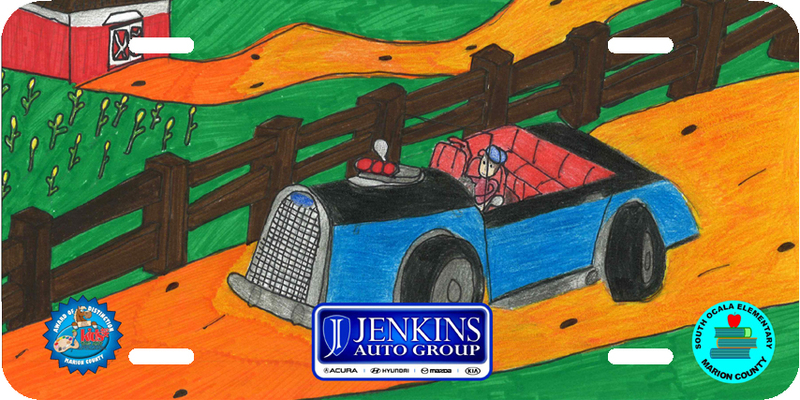 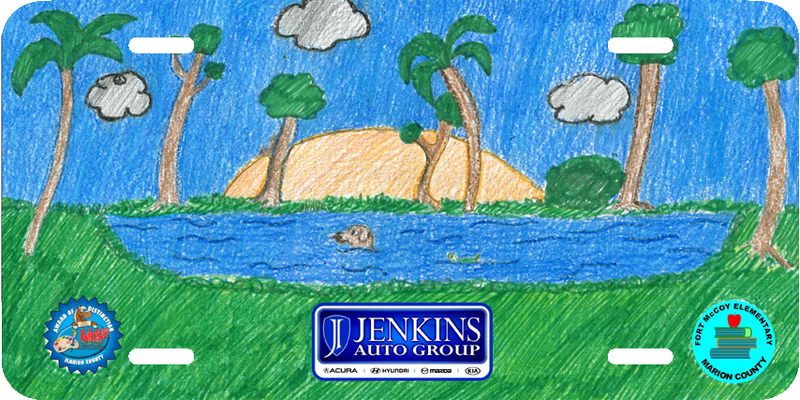 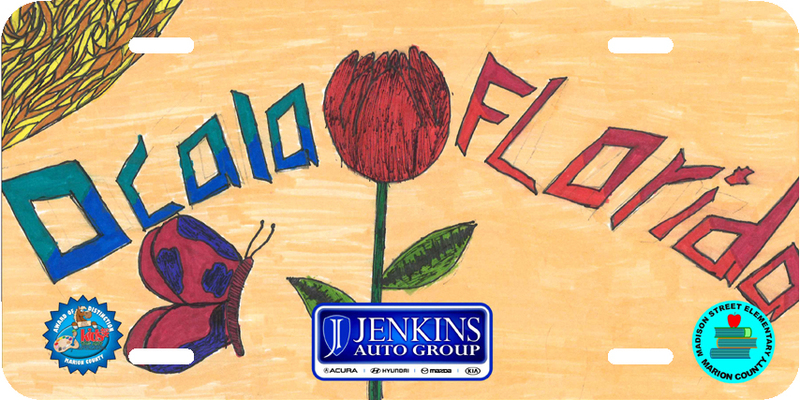 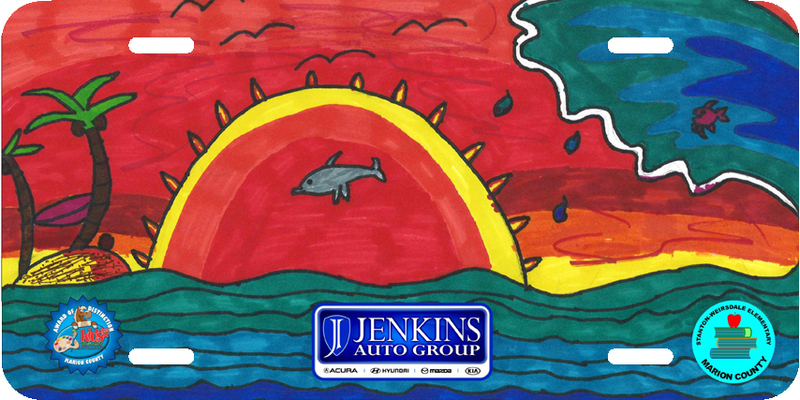 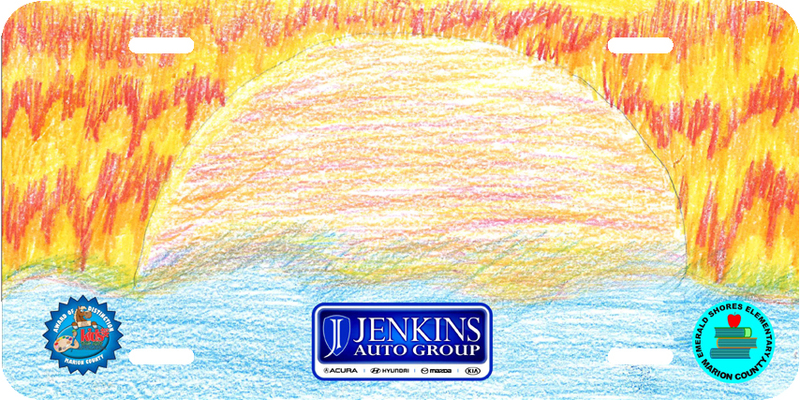 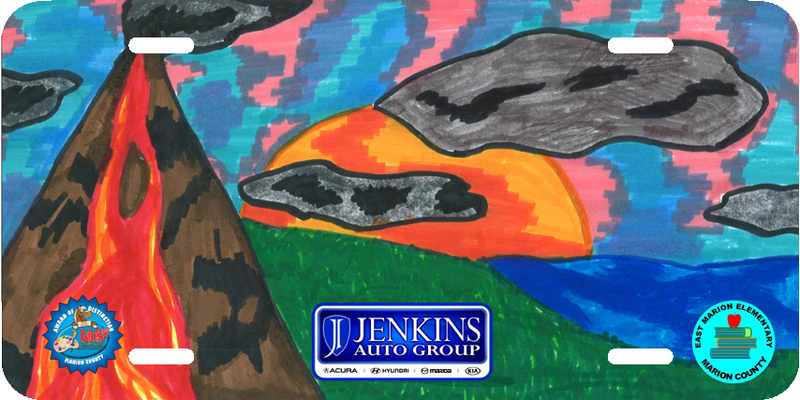 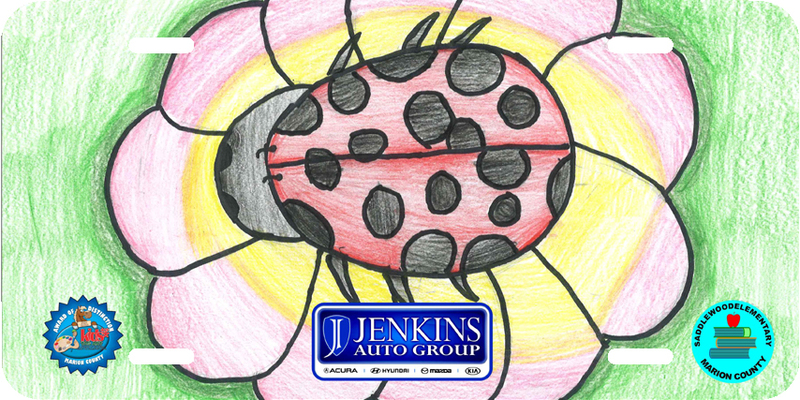 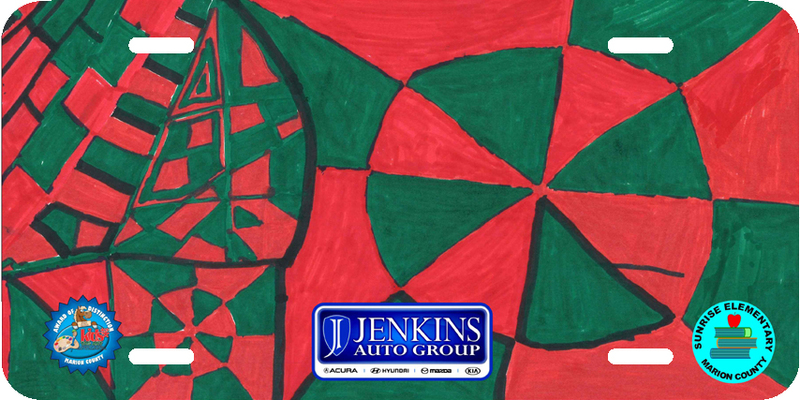 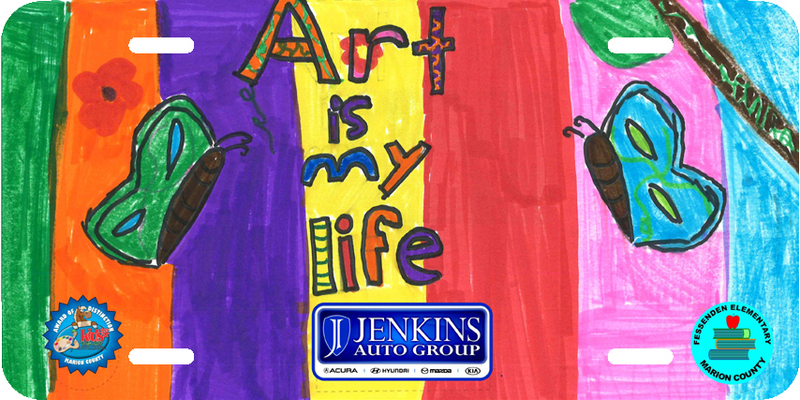 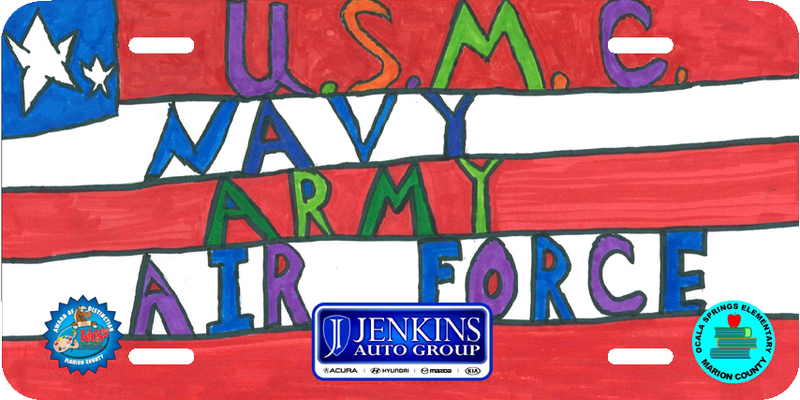 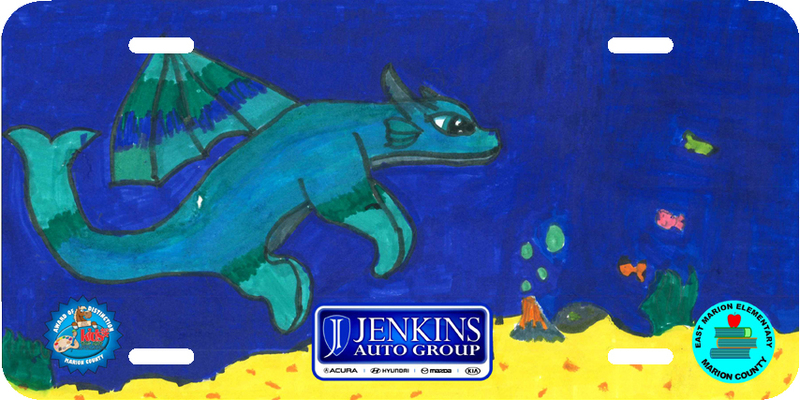 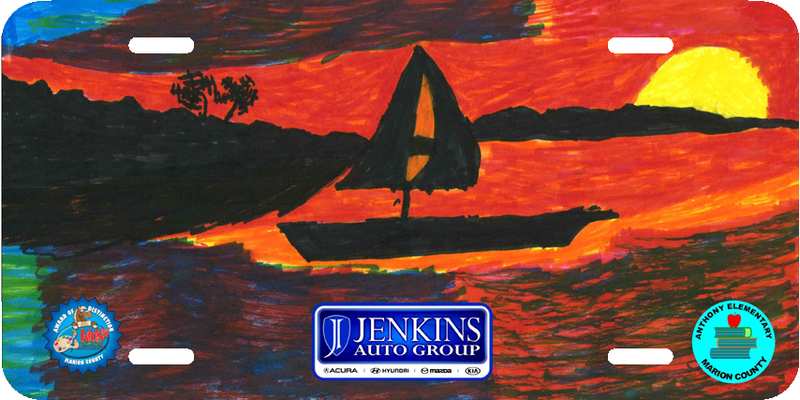 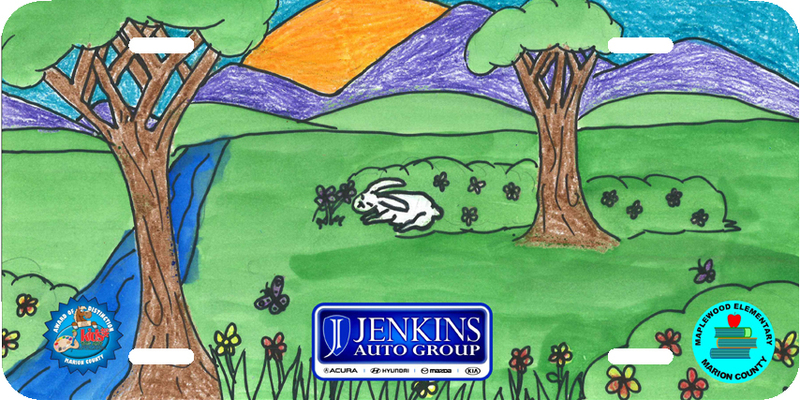 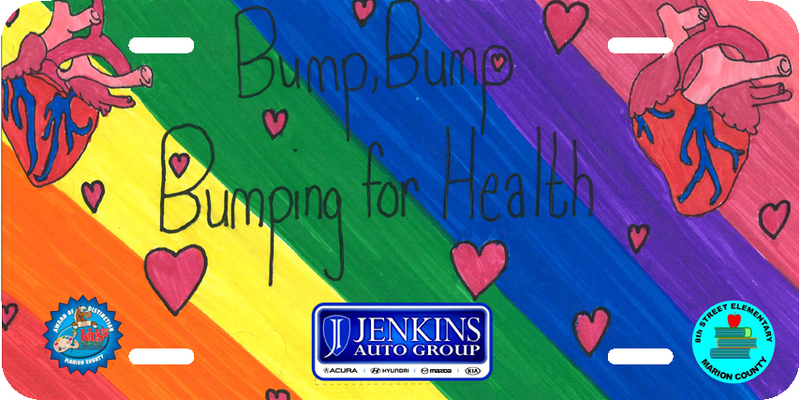 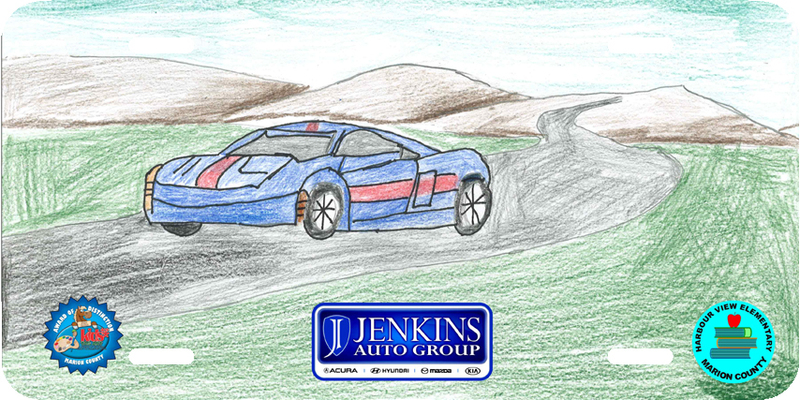 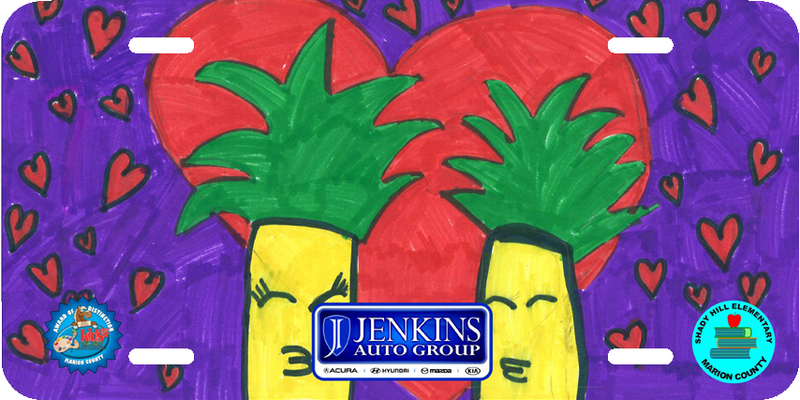 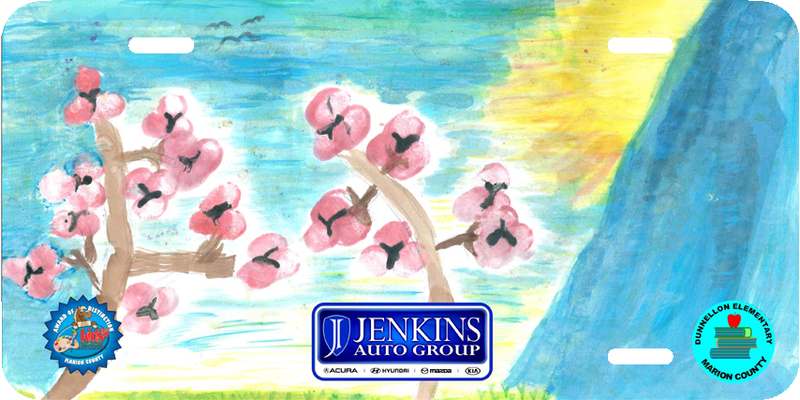 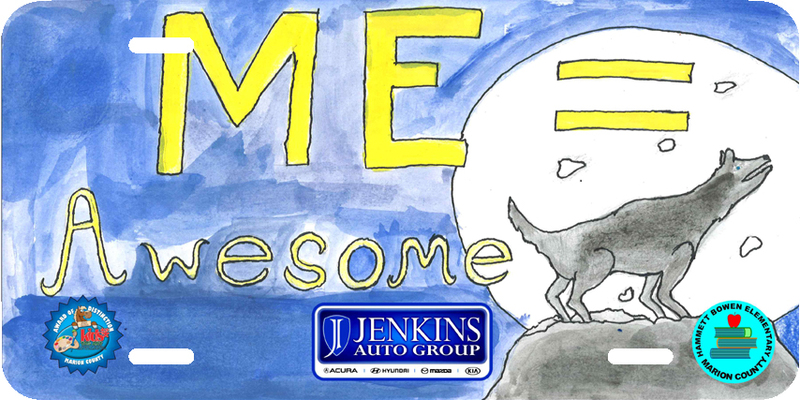 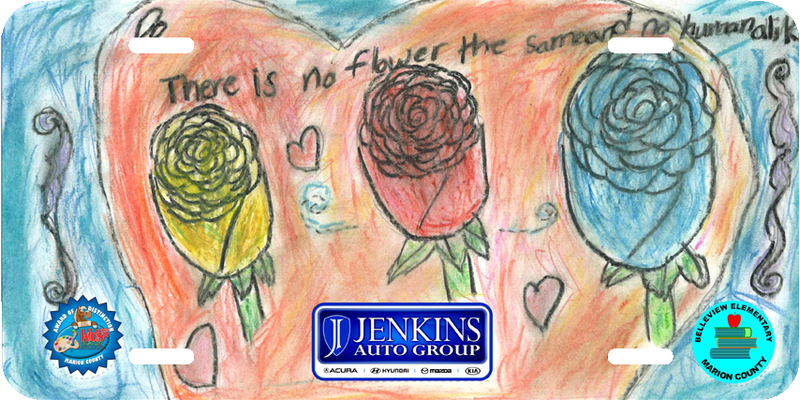 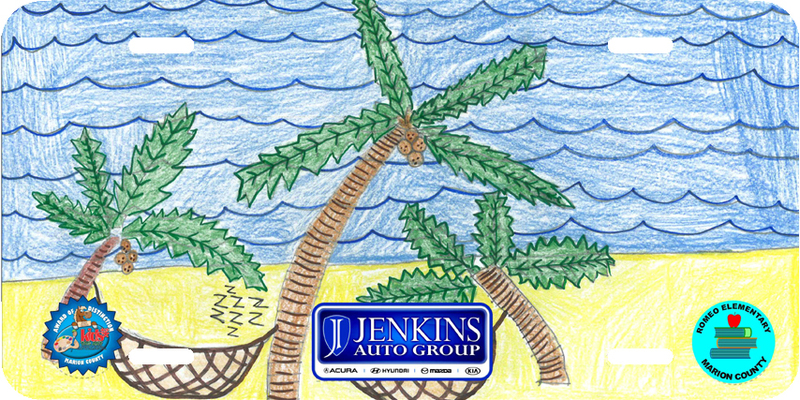 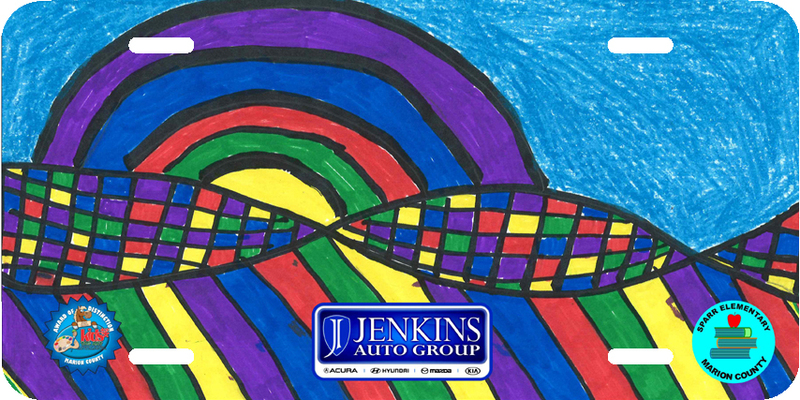 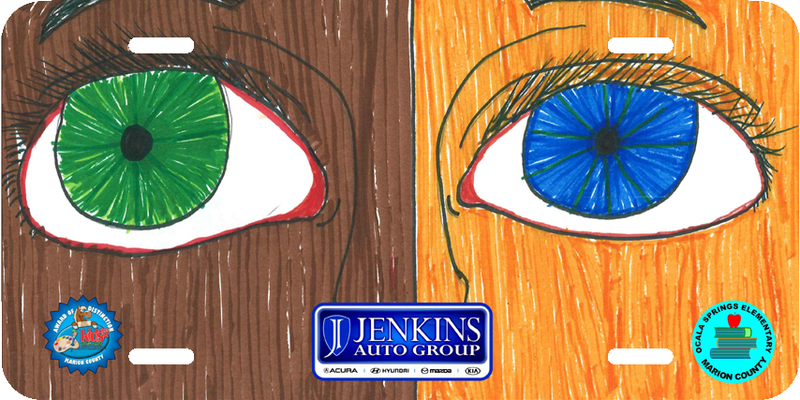 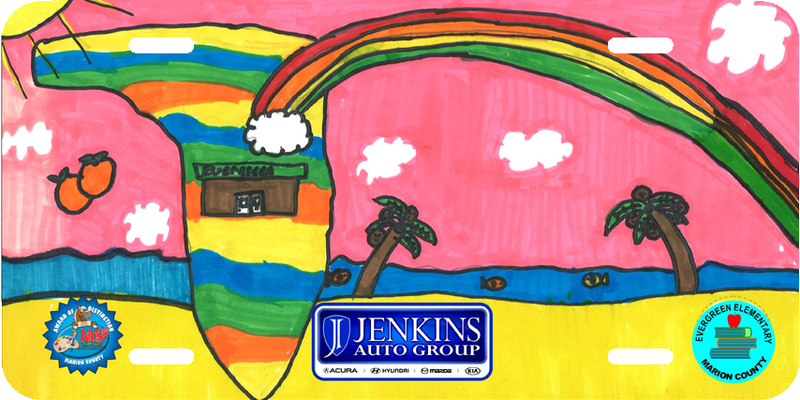 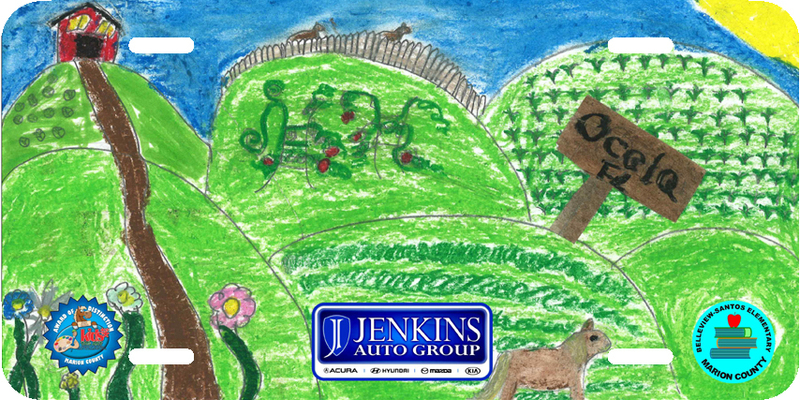 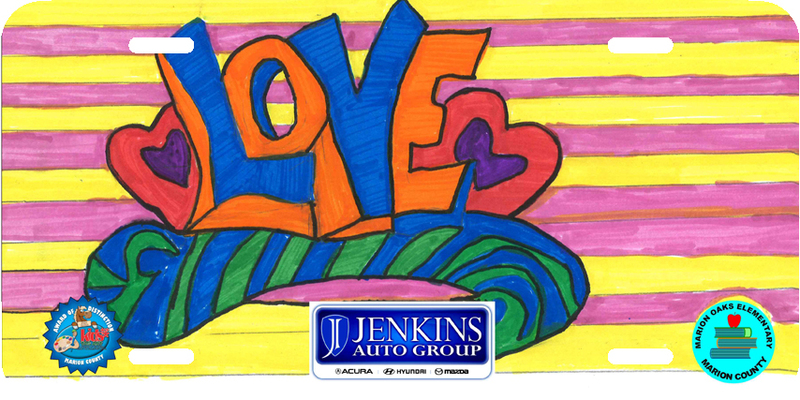 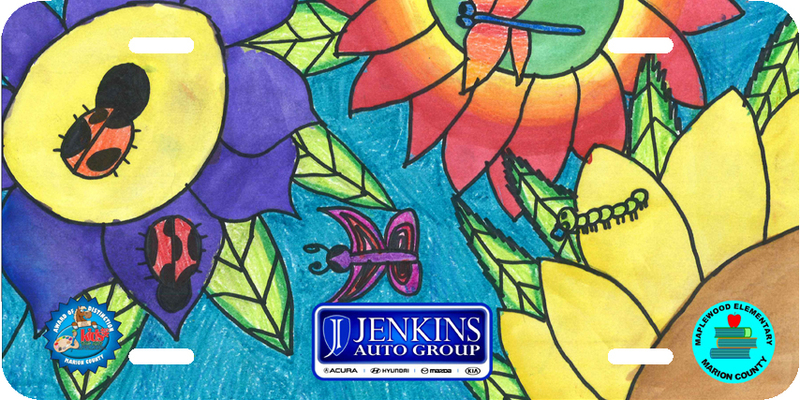 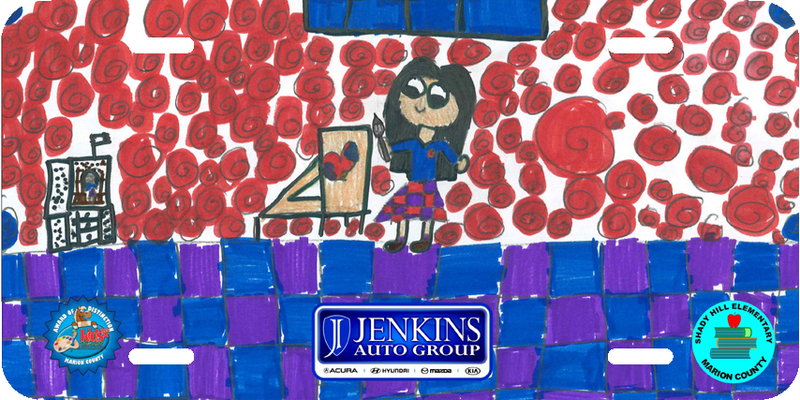 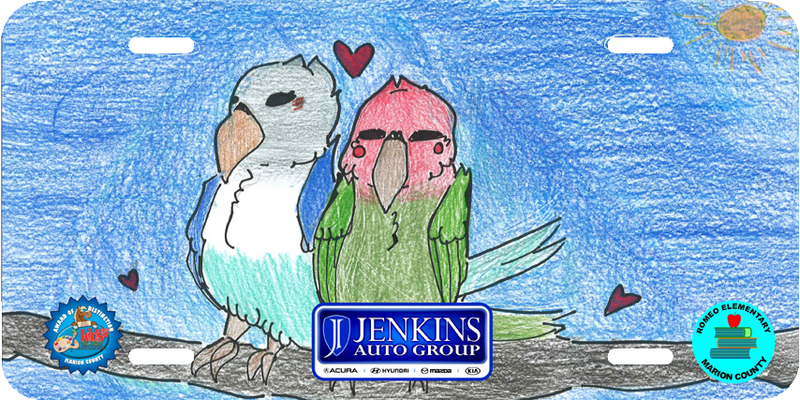 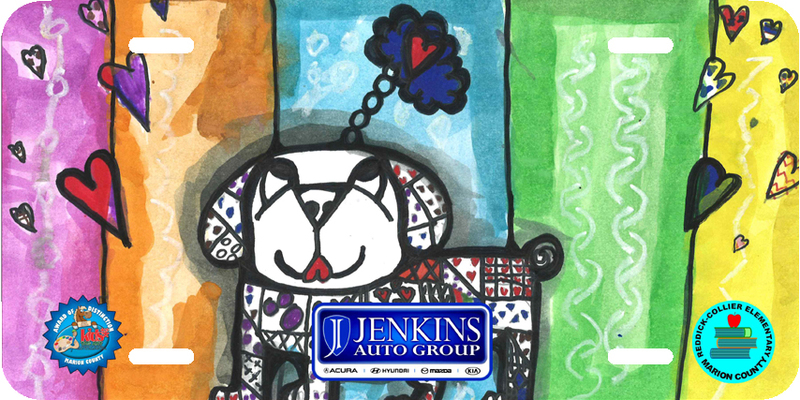 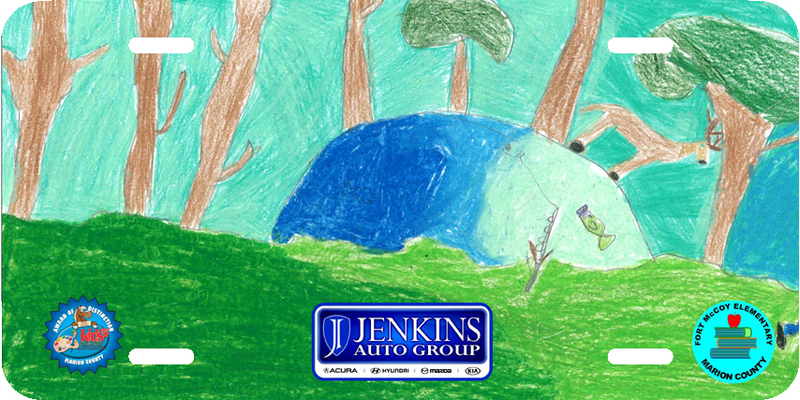 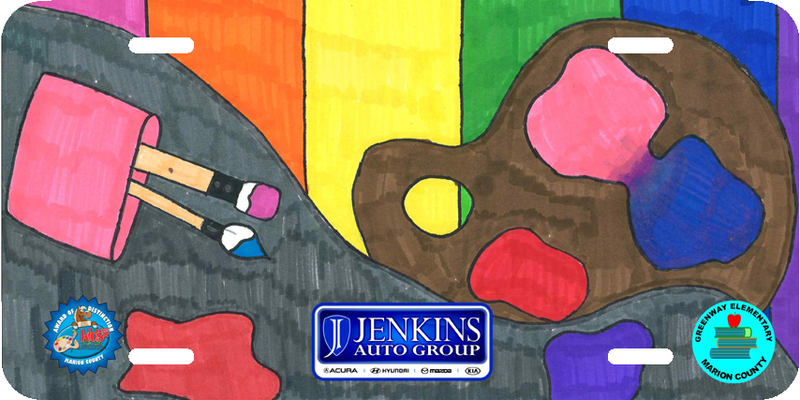 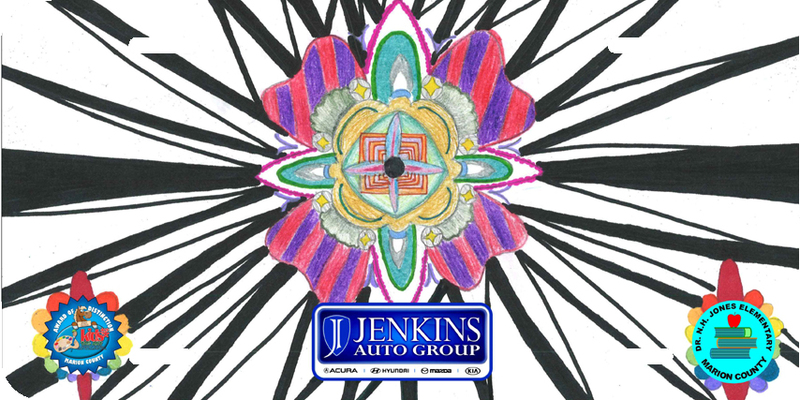 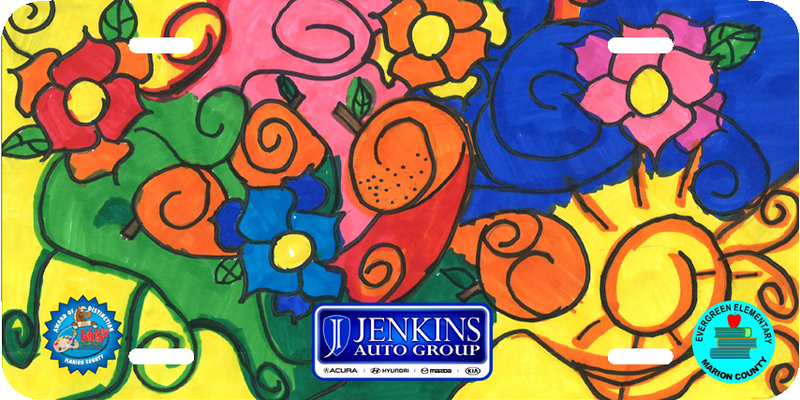 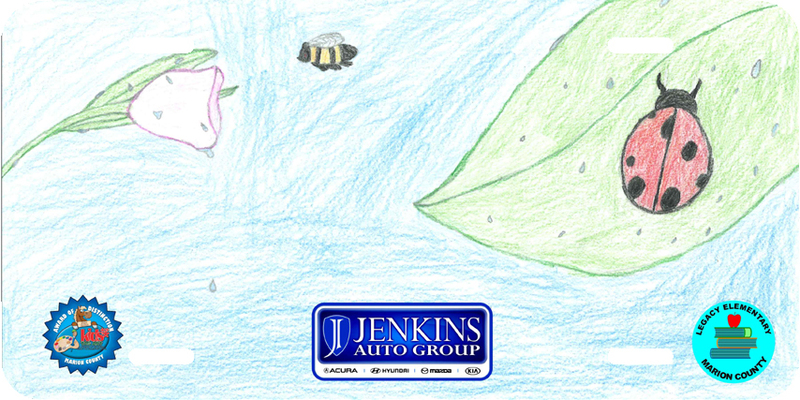 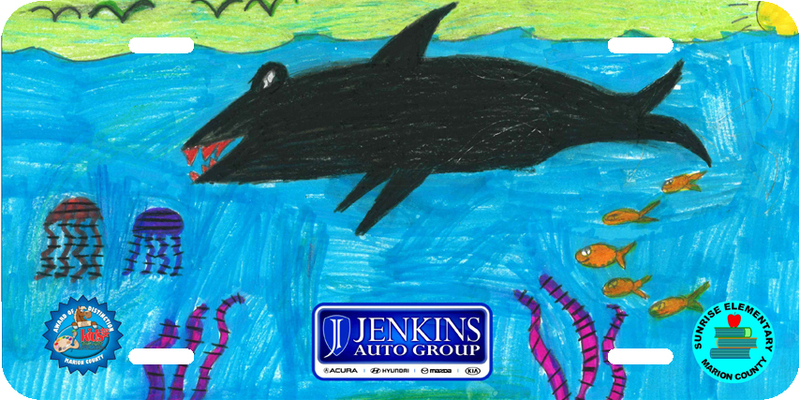 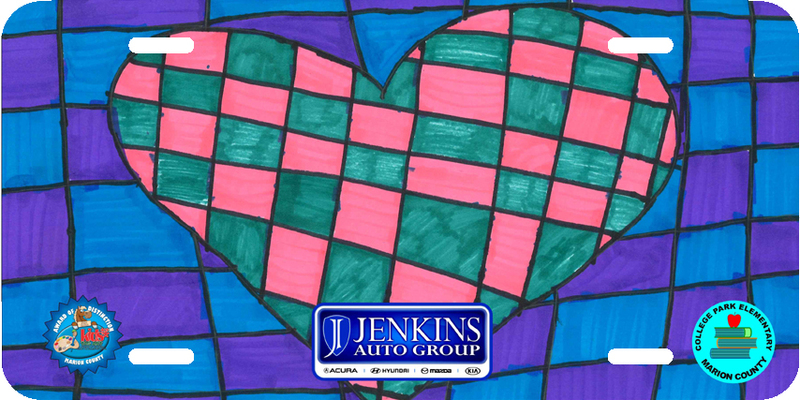 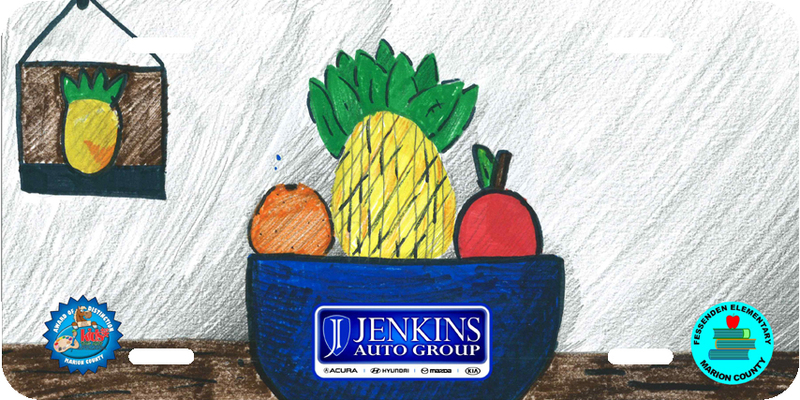 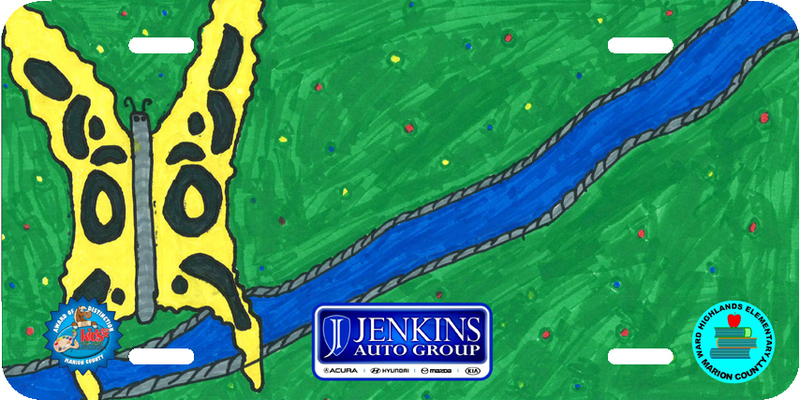 Our major sponsor this year again was Jenkins Auto, donating $10,000. 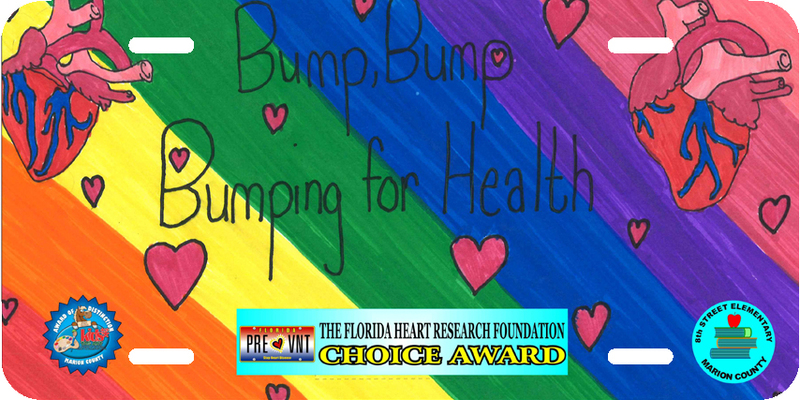 Fine Arts for Ocala, Inc. donated $1,000, Florida Heart Research Institute donated $2500. 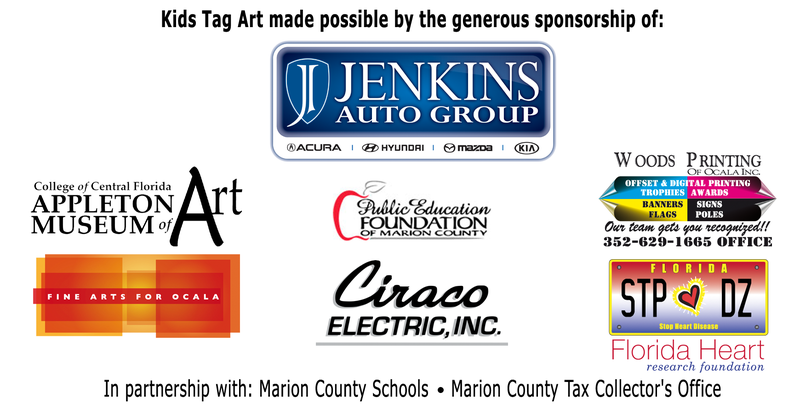 Other sponsorship donations were $100 from Community Bank & Trust Ocala, $500 from Ciraco Electric. 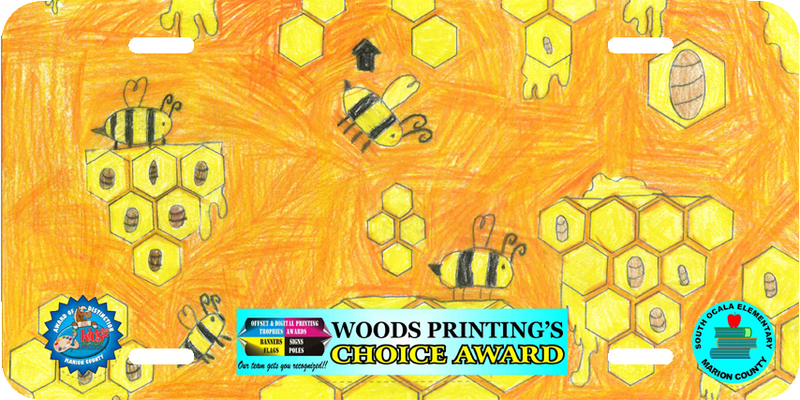 We received in kind sponsorship from Appleton Museum of Art College of Central Florida and Woods Printing. 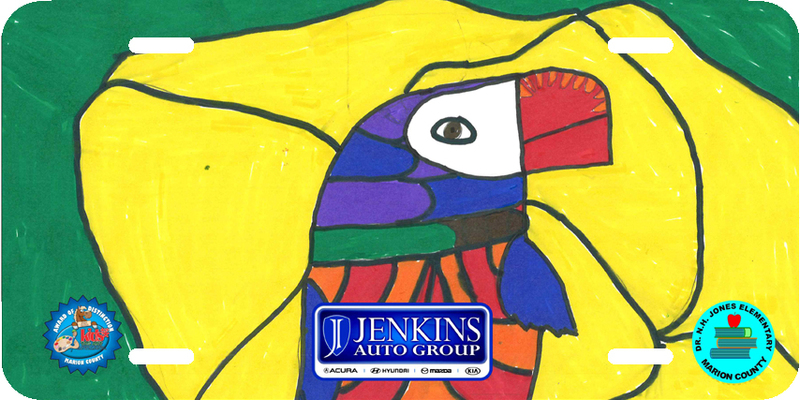 This year the total of sponsorship and classroom sales totaled $26,800. 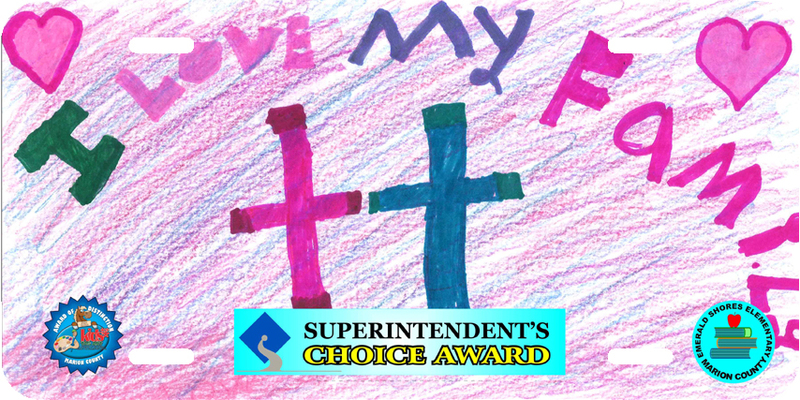 All of the tags on our website are Award of Distinction winners. 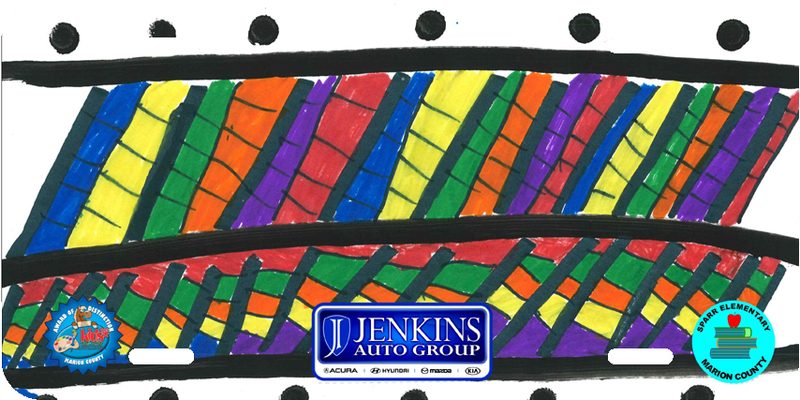 Purchasing their tag will provide funding to the elementary school each student attends. 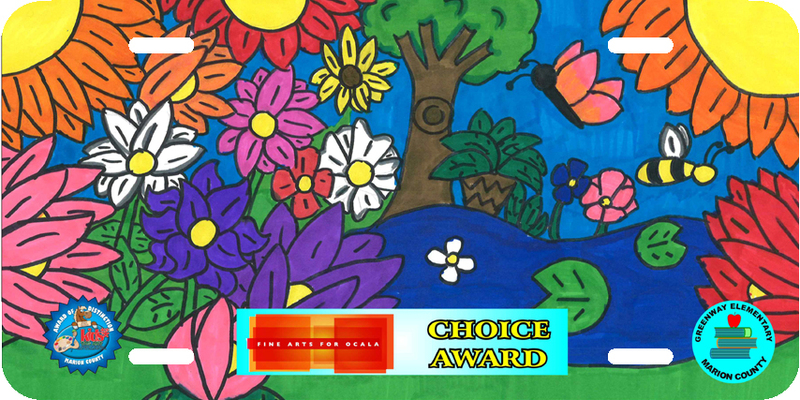 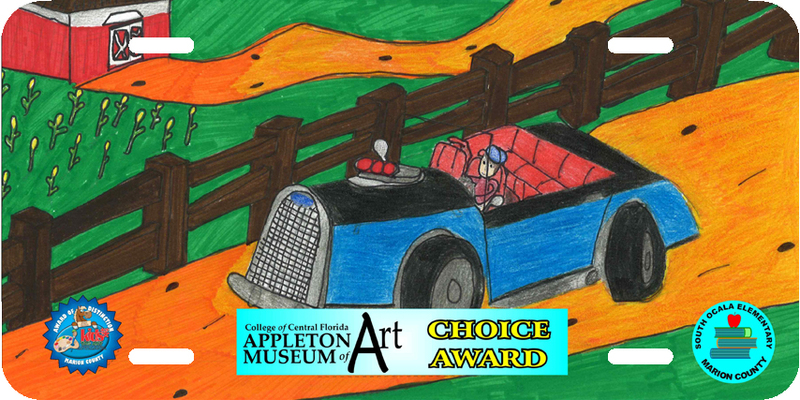 This year's Kids Tag Art Awards of Distinction ceremony was held at the Appleton Museum of Art, College of Central Florida on January 26th, 2019.